High Five Languages resources will help your child or the children in your classroom learn French or Spanish and develop a love for the language. High Five is an innovative video resource specially created for younger learners. Each lesson features a 5-minute video. Additional resources for each lesson include audio content, activity sheets for learners and video transcripts. The resources come with comprehensive lesson notes for parents or non-specialist teachers. 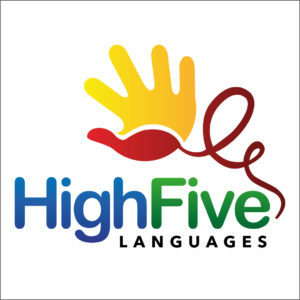 High Five can be accessed on phones, tablets and computers. All transcripts, notes and activity sheets are printable. The Family Edition of High Five is available through the Coffee Break Academy. If you’re a teacher, please select the Schools Edition below.